Public art, whether it be graffiti, street art, sculpture or site specific installation helps create identity in an ever changing urban landscape. 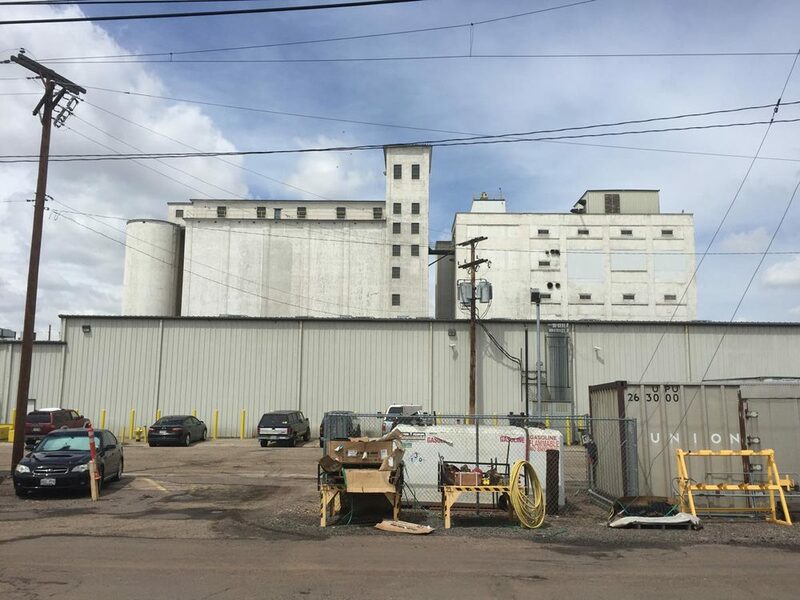 The community outreach possibilities for Ardent Mills is nearly infinite with silo inventory spanning across the United States, Canada and Puerto Rico. There is potential for a nationwide mural campaign that will hit national headlines, go global on social media and will gain a grass roots sensibility around the cities its produces works in. Similar to the way to Greetings Tour has created cult following with their 50s era Greetings Card murals, Ardent Mills can create a similar buzz producing larger than life works of art. The keystone to a successful public art project is to work with local art organizations allowing a way to dig Ardent Mill’s roots deeper into the soil of where they do business. The installation can't help but draw eyes to Pier 92, a corner of the city visited mainly by concrete trucks that mix and pour the sand and crushed rocks shipped here from afar. But the silos stand tall along Islais Creek, the northern boundary of the long-struggling Bayview district. It's a neighborhood gateway, which made it an ideal site for a $250,000 investment from the port's beautification fund for the southern waterfront, which draws on the port's rental income in the area. Guido van Helten has turned the tiny town of Brim, with a population of about 100, into a tourist destination overnight, and social media is cluttered with photos of his work. People are in awe of the four characters, standing 30 metres tall, on the iconic Australian structures. Visitors are driving for hours to see a giant mural on disused wheat silos overlooking the tiny, drought-stricken Wimmera community of Brim. Van Helten, from Brisbane, has slaved in a super cherrypicker for three weeks, including Christmas Day and New Year's Day, to create the work using spray paint and acrylic house paint. First a Boeing 747, and now an industrial complex on a Vancover island; it seems no canvas is too large for Brazilian graffiti artists Os Gemeos who were invited to the Vancouver Biennale to turn six multi-story silos on Granville Island into their trademark ‘Giants.’ The murals on the 70-foot towers are now the largest paintings ever attempted by the pair, an astounding feat considering Os Gemeos completely donated a month of their time to create the non-profit art project.